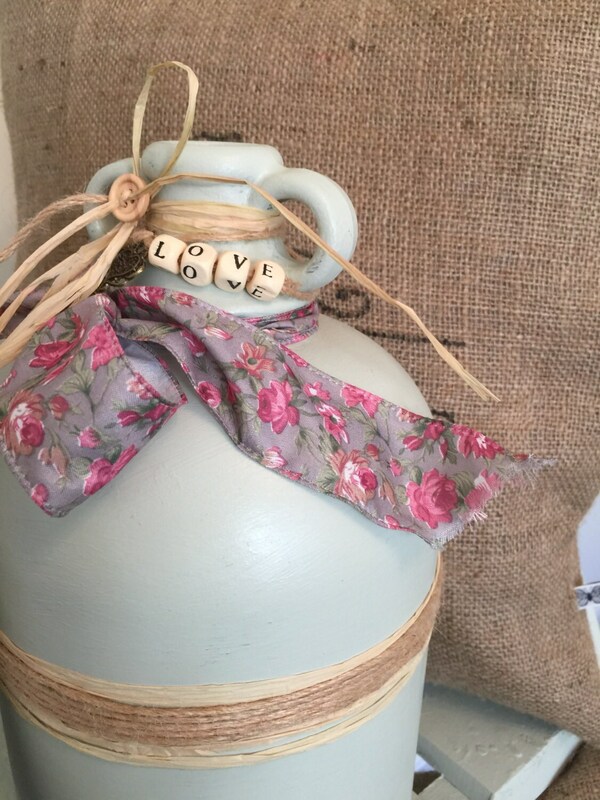 A pastel green hand painted glass demijohn jar. 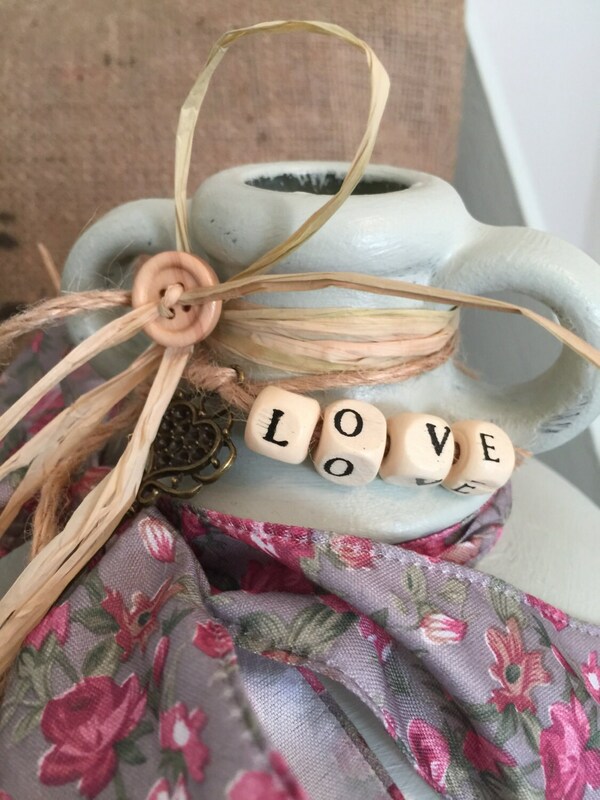 Decorated with beaded "LOVE" inspiring words to remind you of the ones you love. 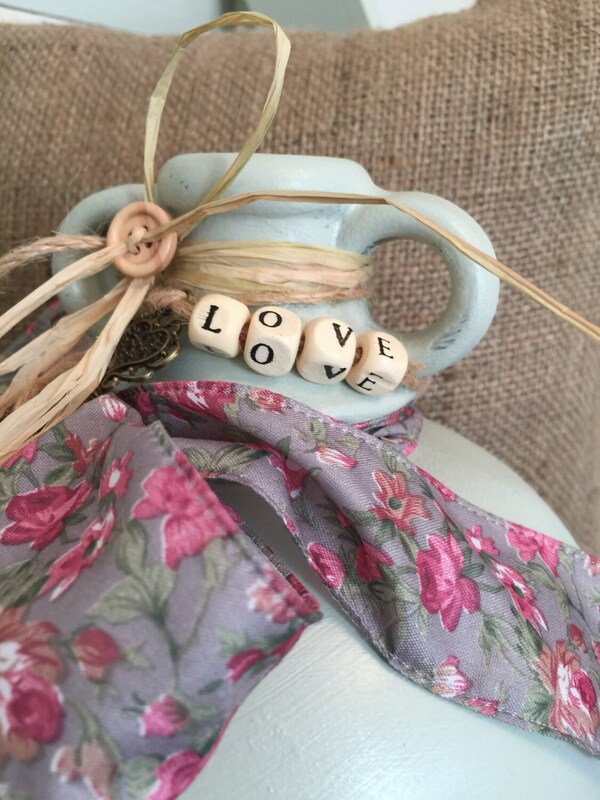 It's all in the detail with vintage style hanging key charm, pretty floral rustic wired ribbon, raffia, twine and button decoration. This would make a lovely piece of pale green home decor for interior styling. 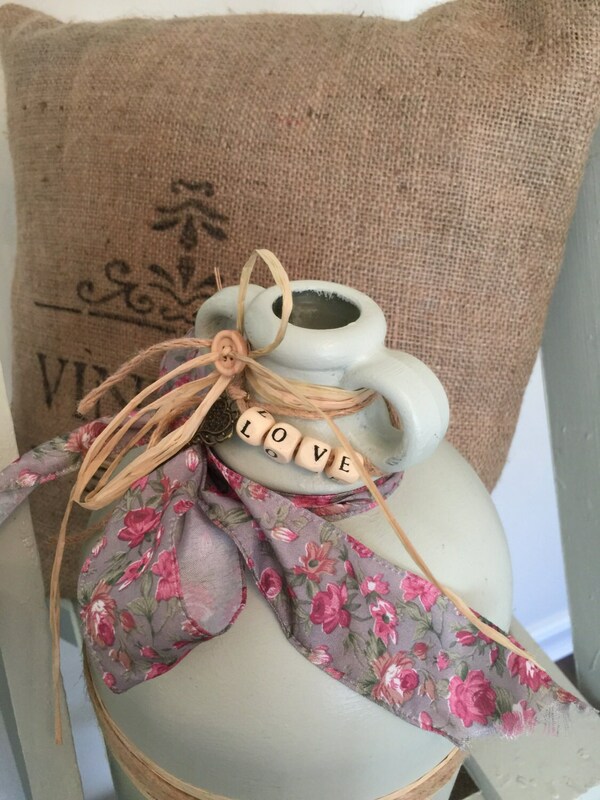 Wedding planners / Wedding co-ordinators take note these jars make excellent arrangements for table settings, as vessels for single flower arrangements, table numbers or beautiful on their own. Please see my other listings for variations on styles and colour. 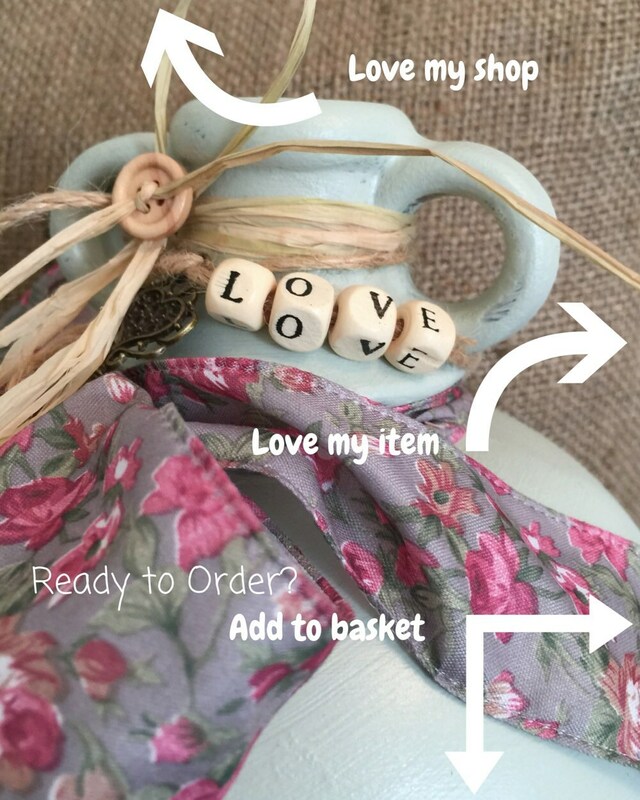 I am happy to take custom orders for special gifts, home decor or wedding arrangements. If you would like a different word please convo me or leave a note to seller.